The conventional definition of slurry is a mixture of water and small particles of a solid. The particles are not normally suspended in the liquid and are maintained in suspension by agitation during the use of the slurry. 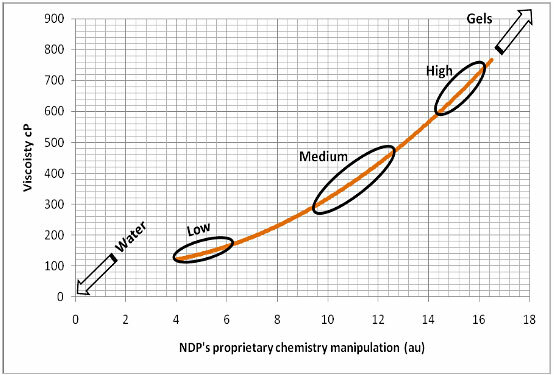 In NDP slurries, the particles are micron sized diamond particles and the liquid (carrier vehicle) can be oil or water based. Oil or emulsions are the most common. Slurries have a higher viscosity than suspensions but can still be poured easily from a bottle. Highly viscous slurries are often referred to as “gels”. NDP produce unique stabilised slurries in both oil and water based products. Stabilised slurries retard the “settling” out of the diamond particles. This produces a more homogeneous product and minimises the risk of fluctuating concentrations. In most cases a stabilised slurry will have a slightly increased viscosity over the non-stabilised product.